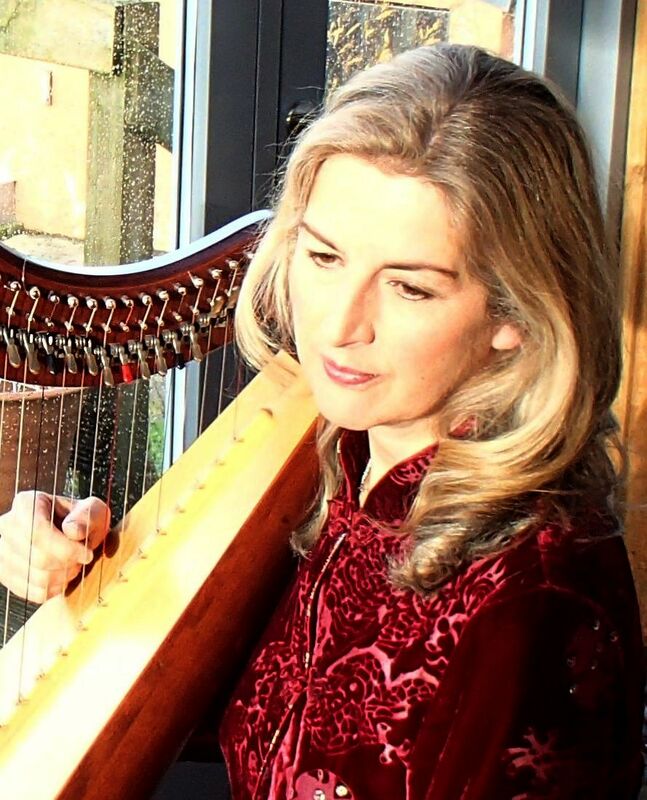 Sarah studied classical pedal harp at the Royal Academy of Music where she gained her LRAM and LGSM diplomas in harp performance and was awarded the Julia Leney prize, in 2015 she was elected an Associate to the Royal Academy. She performed in London for years with professional symphony, opera and ballet orchestras and gave solo classical recitals to Arts clubs and music societies for both in UK and America. Her compositions and virtuoso playing on lever harp have been broadcast in UK, Europe and America, and she has done guest interviews on Classic FM, BBC Radio Four and appeared many times on television. Her book about her time working as solo harpist aboard the QE2, 'Maiden Voyage' was featured on BBC Radio Four's only travel programe 'Excess Baggage' in 2011. 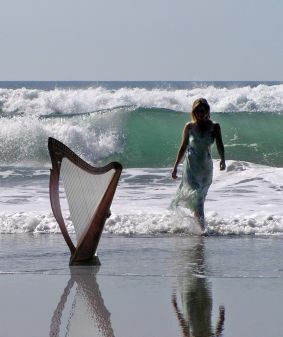 She has been invited to lecture and perform at the major harp festivals of the world, Big Sky and Somerset harp festivals USA, Harp Holiday Australia, Dinan harp festival france, and the Medieval 'Music in the Dales' festival, Welsh International harp and Edinburgh harp festivals in UK. Her sheet music arrangements and compositions are in great demand and have broken new ground in the world of the lever harp. Her new Choral composition for choir and harp Carmina Iocunda receives it's first performance in London on April 21st 2018 (see compositions page). 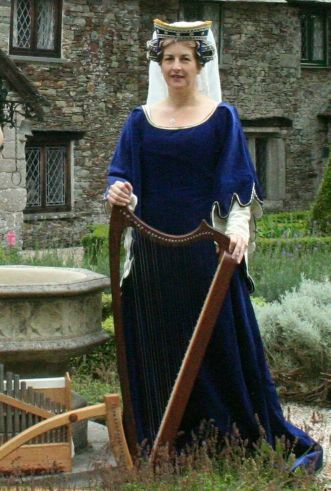 Sarah's original research on the Medieval harp in England. 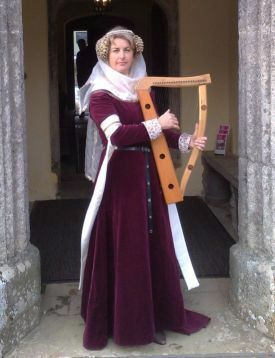 and the Regency harp, harp-lute and Dital harp, has also lead her to giving lecture tours around the world, in particular for the Arts society in UK and Australia. 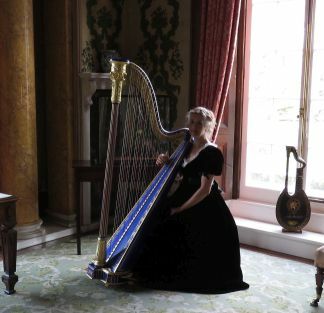 She has restored several unique 19th century instruments and commissioned replicas of Medieval harps and a rare Regency 'Royal Portable' harp. Her collection of information and images from both periods has lead her to holding workshops for harpists on both subjects on playing styles and context. 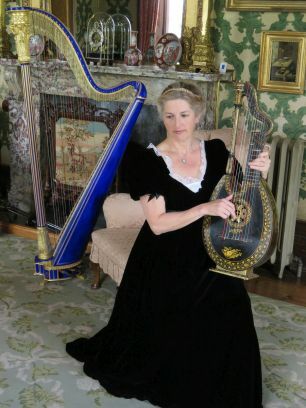 Her revival of the Regency harp-lute and dital harp, as invented by Edward Light, is unique and she is the only person currently performing authentically on these instruments. 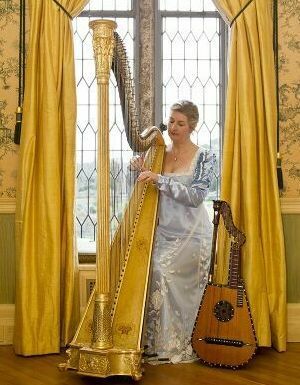 Her album of Regency music 'Thy Trembling Strings' for harp and harp-lute has been widely praised around the world. Her albums of medieval music have been played on national radio such as Classic FM where her album 'There is no Rose' was voted 'connoiseurs choice' on the 'New CD show' and described as 'Absolutely joyous'. Her traditional and Aeolian album 'Soirbheas' was voted a 'CD of the year' by Natalie Wheen on Classic FM. 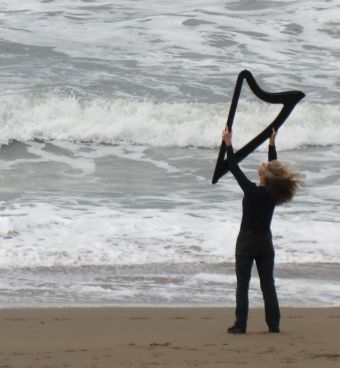 in this work she combines all styles of harps and music with Aeolian sounds. 'more of this please!' - FOLK ROOTS.